Does Farming Crops Pay Off In Albion Online? Manufactures, trades and conquers. Albion Online shows a strong intention to challenge us in interesting PvP challenges, clan battles and a fascinating PvE that will offer great playable variety and many hooks of interest. New players often ask the same questions in global chat and on forums. While their questions get answered most of the time, they also catch flack from people tired of hearing the same thing being asked. Like some players wonder that whether the farming ever pay off. The mastery mechanics really reward focusing on a specific area of a profession. Here we’ll show you some tips. Most players are hoping to maybe harvest then sell half the crops in order to recoup the price of seeds then repeat while the seed price seems a little high. Usually, players can’t water all crops by the time of harvest and hoping higher tiers are more profitable. The more you farm, the more mastery you gain. The more mastery you gain, the less focus for required. Alternate characters are a must if you use focus for other activities. Like any business, you may start out in the red and be losing money every day, but after a while you will be able to farm better crops and if you cook – make better food. Getting cooking to tier 5 will be high enough to make pies and omelettes. Both of these will sell well in most Auction Houses. By taking a quick trip to nearby cities and harbors/quays, you can analyze the price of the food you want to sell to maximize profit. Some guilds buys and upgrades players’ unused islands to farm on. If the initial profit loss is too hard on your wallet, you may want to set up some sort of island lease with a player or guild. You can buy their food lower than market value, but provide everything they need to level up. Farming and cooking for about eighty percent profit seems like a good deal for them and cheaper food is a good deal for you to feed the guild buildings–win win. 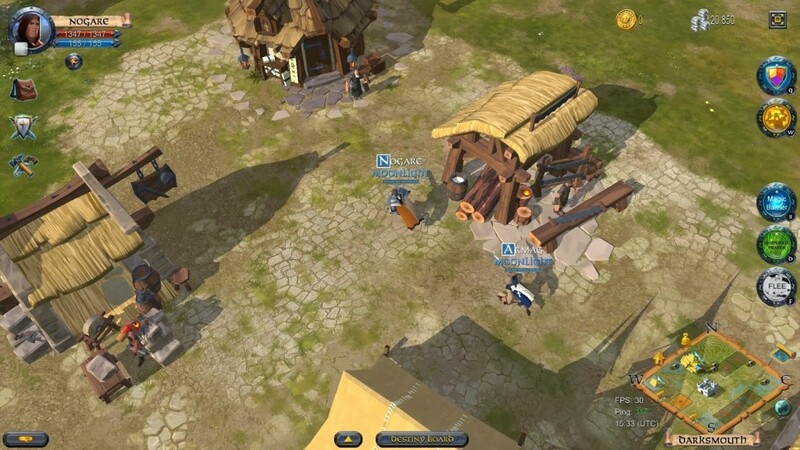 The exciting sandbox MMORPG that will take you to a medieval world full of adventures. Explore and conquer a vast, rich world filled with dangers, join forces with thousands of other players and make this adventure your own. Currently, the game is still in the beta stage and aiming to launch on July 17th this year. It is very necessary for you to make money in game to prepare for Albion Online. However, you can buy albion online gold cheap on UPAlbion if you don’t have enough time to make money.